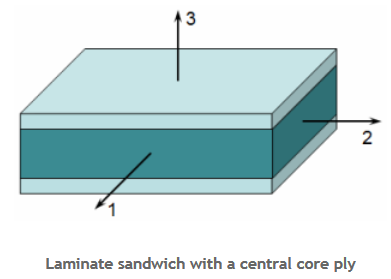 Sandwich panels are prevalent in many structural applications. The panel facesheets react the membrane and bending loads, whereas the core reacts the bulk of the transverse shear loads. For honeycomb cores, transverse shear failure can be critical. Traditional first-ply failure criteria such as Tsai-Wu and maximum strain are not applicable to core plies. 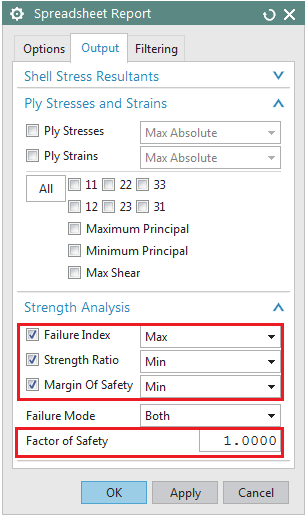 This tips and tricks shows how to use Simcenter 3D Laminate Composites to identify a core ply and to automatically compute 13 and 23 core shear failure index, margin of safety, and strength ratio results. where K is a core strength correction factor. where FS is a user-specified factor of safety. 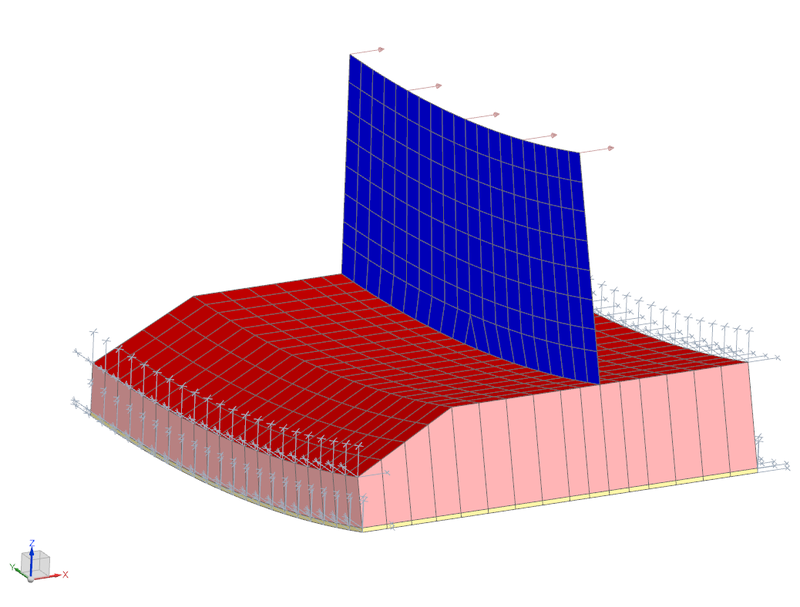 Suppose that you wish to evaluate shear failure in the variable thickness core of the lower horizontal panel of the composite T-Joint shown in Figure 2. The core is modeled as 3D elements, which were automatically created using NX Laminate Composites’ 3D inflation capability. To define the core ply material, go to the Laminates tab and click Ply Materials. 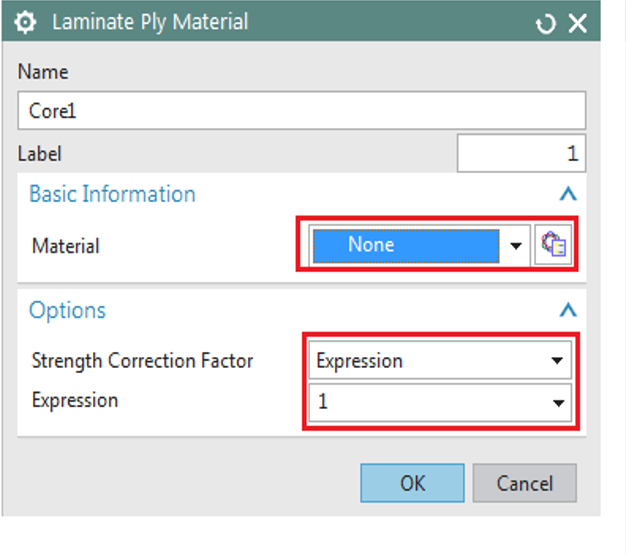 In the Laminate Ply Material Manager dialog, first select Core as the Type and then enter a descriptive name for the ply material and finally click on Create. Then in the Laminate Ply Material dialog and under the Basic Information group, the material for the core can be selected from the drop-down menu, which includes already defined materials. Click on the Choose material to select a material from the library or to create a new material. Under the Options group, select Expression for the strength correction factor, and enter an expression in the Expression box (Figure 5): When the core ply is modelled using 3D elements, the solver scales the ply thickness as a function of the through-thickness distance between the nodes, and the correction factor should not be defined using a field. 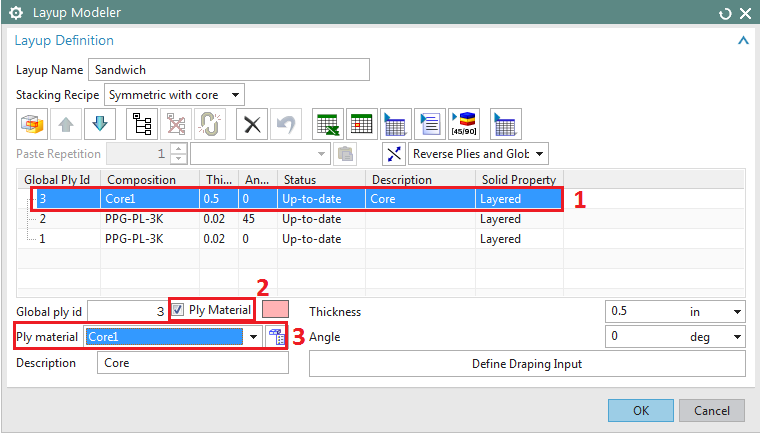 In the layup modeler, select or create the core ply, check the Ply Material box and then from the drop-down menu select the core ply material just created. To calculate the failure indices, strength ratios and margins of safety, go to your sim, solve the model and when the solution is complete go to Post Processing Navigator. In the Laminates tab, select Advanced Post Report, from which you can create either a Graphical Report, or a Spreadsheet Report, or both. When creating an advanced post report, make sure to request the desired failure metrics such as failure index (FI), strength Ratio (SR) and margin of Safety (MOS). 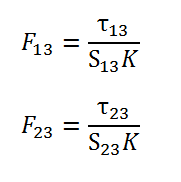 The Factor of Safety value, which is required for the calculation of the MOS, can be entered under the Strength Analysis group (the default value is 1.0). 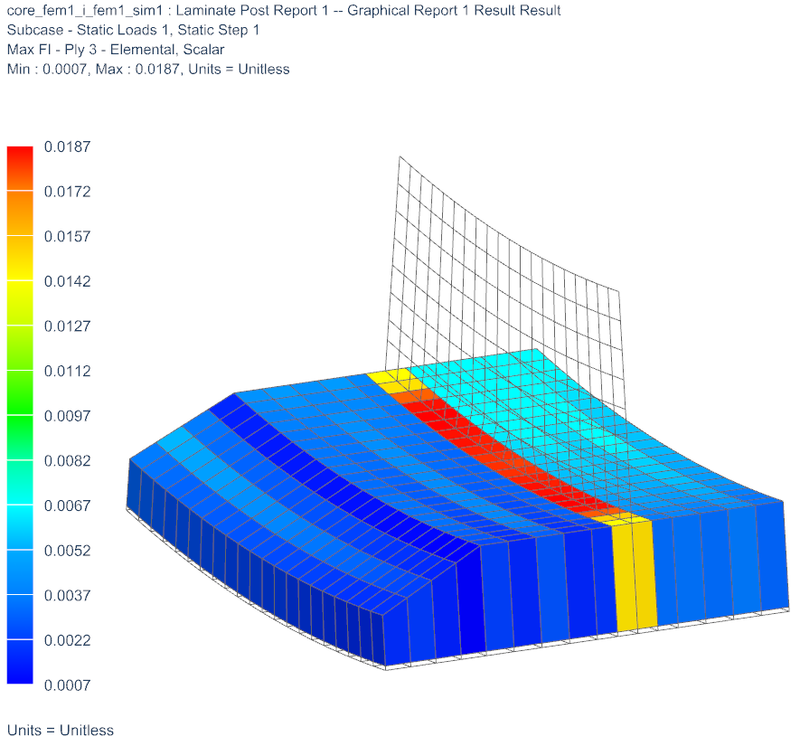 NX Laminate Composites then automatically calculates the shear core failure FI, SR, and MOS for the core ply, while using the failure theory defined in the laminate physical property to compute metrics for the other plies. Spreadsheet report creates an excel file, which lists the failure metric values for the core (Figure 9). The Graphical Report can be used to generate contour plots of FI, SR, and MOS for the core, as well as all the other plies (Figure 10). The materials from MAYA always seem to be very helpful, when it comes to composite modelling, however, the pictures are missing, therefore I have hard time visualizing the results. I don't know if the missing pictures are independent from the uploader, but if there is a possibility, I would be happy to see the full article with visual presentation "reuploaded".